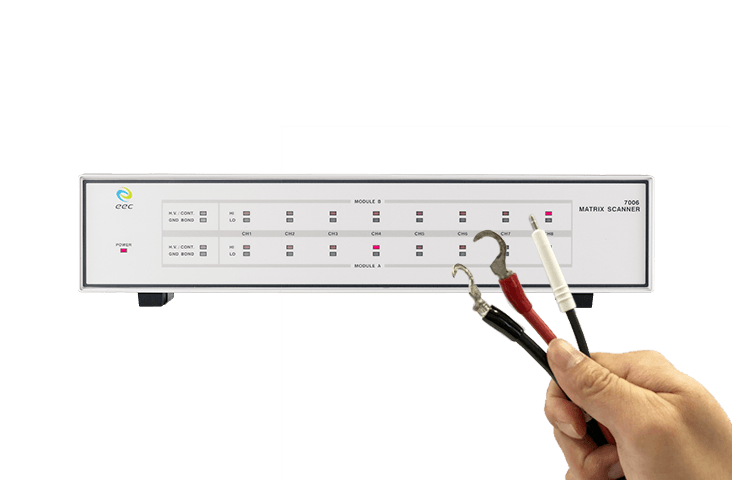 The 7006 Matrix Scanner offers complete ESA and SE series compatibility to create a multi-testing hub. The flexible channels can be set to a range of user-defined output combinations. The 7006 enhances overall DUT testing capacity while solving complex fixture wiring problems. Easily and quickly expand testing while optimizing efficiency by connecting up to 80 channels (one master with four slaves). Keep your testing area systematically organized by taking control of wiring and your testing workflow.